Here we go! 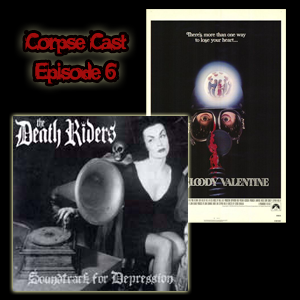 This episode, we talk about The Death Riders 2005 album called Soundtrack for Depression. We also talk about the great 1981 Canadian slasher My Bloody Valentine. However, the highlight of this episode, at least for me, were the voicemails where we had responses to the question of the episode.